Finding a name for your baby can be a long and frustrating process. There are so many things to think about and so little time. Why can't the name just fall out of the sky? If only there was an easy way of finding the perfect name for my baby. If this thought has crossed your mind, worry no more! With the help of this audiobook, we doubt that you will have any difficulty in regards to finding the perfect name. In this audiobook, you will find thousands of names with meaning and origin. At the end of the audiobook, you will also get a name checklist so you can test to see if you have found the right one. So what are you waiting for? 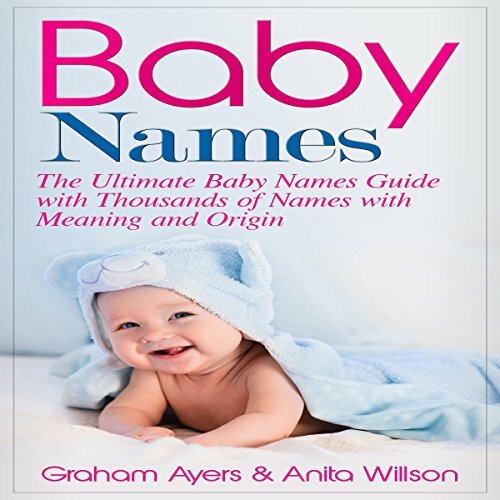 Get the audiobook now so you can find the perfect name for your baby! If you have any questions about this product by Graham Ayers, contact us by completing and submitting the form below. If you are looking for a specif part number, please include it with your message.